Below are the San Mateo County/Silicon Valley Convention & Visitors Bureau partners who have received As Fresh As It Gets Awards for for serving fresh local fare. These partners are strong supporters of our visitors and local producers. Established by Sante Arcangeli in 1929 and managed by his family for five generations, Arcangeli Deli and Wine is a Pescadero institution. 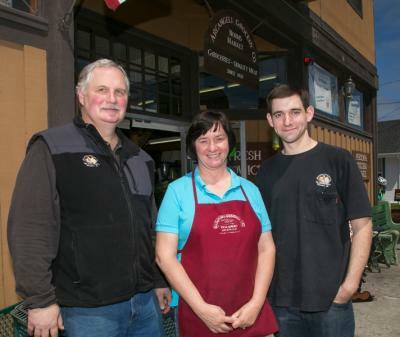 Next in line to run the family business are Chris Benedetti and longtime manager Humberto Perez, who are currently learning the ropes to take over when current owner Mike retires in a few years. Arcangeli Deli and Wine’s bakery is known for its specialty Garlic Herb Artichoke Bread, but offers a wide selection of delicious breads and other baked goods, a number of which are baked from recipes created by Sante himself back in the 1930s. Originally from the Principality of Monaco, Serge attended Lycée Technique D&apos;Hôtellerie et De Tourisme in Nice, France. He honed his culinary arts in France and Israel training at the Park Plaza on the French Riviera and Blue Bay Resort in Netanya, Israel. After immigrating to the U.S., he worked alongside culinary Meilleur Ouvrier de France Jacques Gonthier at La Reserve in Scottsdale, AZ. Chef Serge has done stints at Scandia Restaurant and with several other restaurants in the San Francisco area. 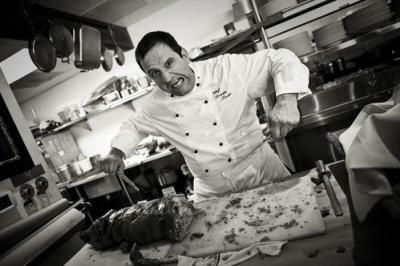 He served as Executive Chef at the prestigious Family Club and Family Farm in Woodside, CA. 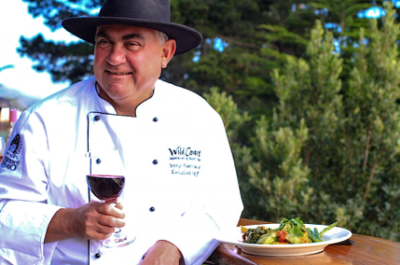 He was voted Best Wild Game Chef by the local chapter of the International Wine and Food Society two years in a row. Rooted in the Bay Area for over 25 years, Chef Gerardo Naranjo brings a stealth approach to bold flavors. A stint at famed Mediterranean haunt Dio Deka set the stage for almost a decade at the south bay favorite, Alexander&apos;s Steakhouse. Under the tutelage of Michelin Star Chef Jeffery Stout, Chef Gerardo incorporated Asian influences into his California-inspired cuisine. A hidden gem and local favorite, Dinah&apos;s Poolside Restaurant is open for breakfast, lunch and dinner daily. Ismael “Mike” Ramirez has a long history with Dominic’s at Oyster Point, having been involved with the company since 1992. Since taking the role of executive chef in 2000, Chef Mike has worked to support the community and enhance the flavor of Dominic’s at Oyster Point’s offerings by incorporating fresh, local ingredients. He develops and creates new dishes with respect to the availability of ingredients in our local farms to impress their clients. In 2004, Scotti designed the concept for and opened La Strada, a modern ristorante that combined fine food with an elegant yet rustically friendly ambience, in Palo Alto. Building upon his excellent reputation in the Peninsula for fine cuisine, he focused his menu at La Strada primarily on the Northern Italian regions and set the stage for where he is today. Now, at Donato Enoteca, Scotti brings the authentic flavors of Italy to Northern California on the palate of a beautifully designed modern restaurant with rustic accents. When he’s not at the restaurant, Scotti enjoys spending time with his wife and three children, cooking as a family, taking mushroom foraging trips to Half Moon Bay and coaching soccer. Chef Fred hails from Cancun, Mexico. A long time aficionado of fresh fish, Chef Fred specializes in seafood and has honed his craft at many different culinary experiences, including Mediterranean, French, Italian and German cuisine. Chef Fred’s impeccable taste for fresh fish has brought Half Moon Bay Brewing Company to new heights as he sources the freshest, local product and creates delicious results. Executive Chef Eric Bradtmiller started his culinary journey at the prestigious New England Culinary Institute as an honors graduate in 1989. Shortly after, the sought-after new graduate was recruited as an apprentice to Teberio restaurant in Georgetown & Le Cadeau restaurant in Aspen. After spending some time in Hong Kong, Chef Eric wanted to test his sea legs. Hired as Executive Chef of the Yacht Sea Angel and traveling numerous times from Sausalito to Puerto Rico, he finally found paradise… Half Moon Bay, California. Dee Harley began farming over 20 years ago. She was awarded the 2007 San Mateo County Farmer of the Year. As a teenager in Yorkshire, Dee was selected for HRH Prince Charles&apos; youth expedition project, Operation Raleigh, which encourages self-confidence and leadership through adventure, exploration and community service. Dee traveled to Honduras and never looked back. 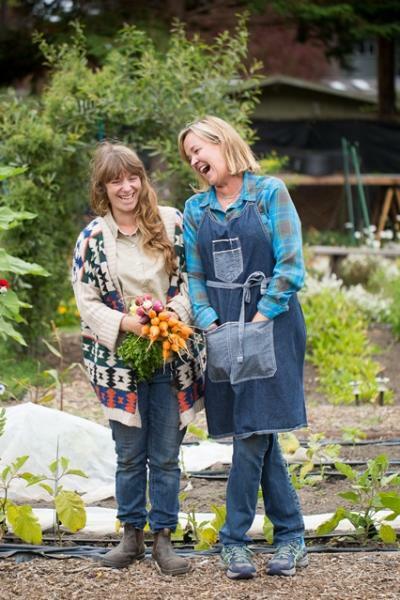 Harley Farms is proud to serve the community of Pescadero, California, with handmade food, work for local people, high-school students and people with special needs and as a community meeting place. My first cooking position was ‘Sandwich Artist’ at a Subway in Idaho,” jokes accomplished Chef Jason Pringle. All kidding aside, the Chef de Cuisine at the fine dining restaurant Navio at The Ritz-Carlton, Half Moon Bay, is about as celebrated as they come. Born in San Bernardino and growing up in the San Francisco Bay Area, when Pringle joined the team at Navio in June 2016, it was a homecoming for the California raised chef. Pringle had previously held the position of Executive Chef at Michelin-starred Daniel Boulud’s Bistro Moderne in Miami. His love for seafood was reinforced there and he enjoyed fostering relationships with local fisherman and farmers. Fourth in his family, and only second in The Ritz-Carlton Hotel Company to earn the title Maître Cuisinier de France (French Master Chef), Xavier Salomon is a fifth-generation restaurateur with a passion for food that began at his family’s kitchen table in Savoie, France. His European tenure includes training under Jo Rostang at his Michelin three-star restaurant La Bonne Auberge in Antibes, France. Chef Salomon continued his education at Le Bateau Ivre in Courcheval and graduated from Thonon les Bains Culinary Academy. 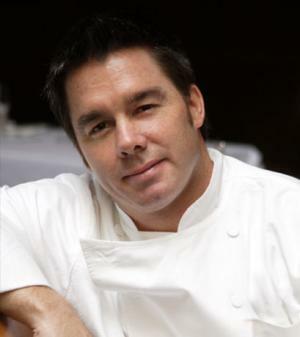 In 1991 he joined The Ritz-Carlton Hotel Company as the executive chef at The Ritz-Carlton, Aspen and in 1996, he moved to Atlanta as executive chef at The Ritz-Carlton, Buckhead. 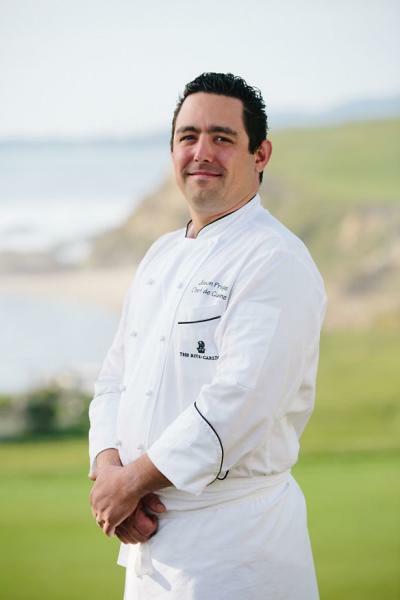 Chef Salomon joined The Ritz-Carlton, Half Moon Bay in July 2001, where he oversees all dining experiences at the Northern California resort, including the signature fine dining restaurant Navio, The Conservatory, Ocean Terrace, and 17,000-square-feet of banquet and wedding suites and ballrooms. Pasta Moon, an innovative footprint of Italian cuisine right here on the Californian coast, 25 years of making house-made pasta, pizzas and desserts, divine according to Michelin! Other main protagonists on the contemporary Pasta Moon Menu which revolves around the farm to table concept: organic produce, the catch of the day, and only the finest cuts of meats and poultry. Our strikingly rustic yet refined ambiance lends a genuine warmth that will linger in your senses. A member of the Four Seasons Hotel Silicon Valley culinary team since 2013, Martín Morelli started as Sous Chef and has brought more than 15 years of culinary experience to the Hotel. Now Executive Sous Chef, Martin oversees the Hotel’s culinary team. 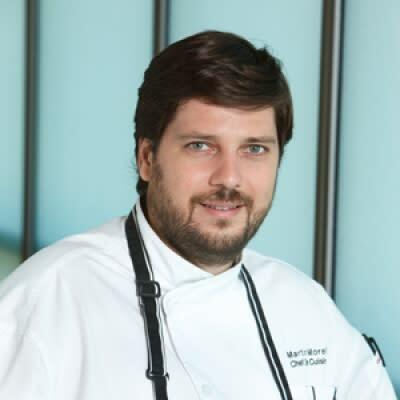 Martín’s career began in his home country of Uruguay, following his graduation from the Escuela Superior de Hoteleria, Gastronomia y Turismo at the U.T., as the Commis Chef at the former Four Seasons Resort Carmelo. From 2003 to 2010, Martín dedicated his time to the resort, where he worked in such culinary roles as Commis Chef, Demi Chef de Partie, and Chef de Partie. 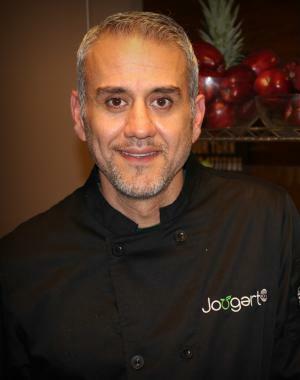 Martín also was the Chef de Partie at Four Seasons Resort Costa Rica at Peninsula Papagayo for more than two years, and spent a year as the Sous Chef and Chef de Cuisine at Joya Restaurant in Palo Alto. 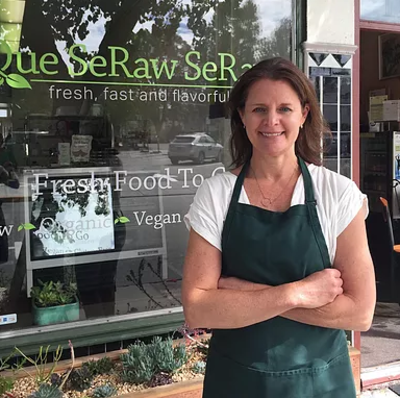 Kerry Bitner purchased Que SeRaw SeRaw in January of 2015. She is passionate about preparing raw, organic, plant-based food that is delicious and convenient and she is excited to offer her customers healthy choices that taste great and help them feel great. She is also an advocate for shifting to a more plant-based diet because it’s more sustainable for the planet. 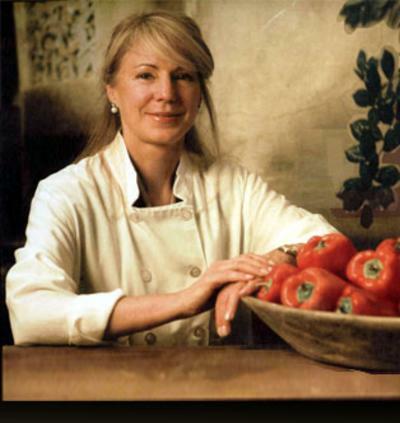 Kerry has been a nutrition enthusiast experimenting at home with raw food preparation for many years. She has taken classes with several leaders in the raw food movement including David Wolfe, Elaina Love and Victoria Butenko. She had a successful prior career as a television commercial and news producer and editor and is now applying her planning, logistics and project management experience towards operating a thriving restaurant. She is thrilled to be running her business five minutes from her home and looking forward to new opportunities to collaborate with and give back to the local community. When she isn’t dreaming up new plant-based recipes, Kerry enjoys spending time with her family and friends, running, practicing yoga, traveling, watching movies and gardening. 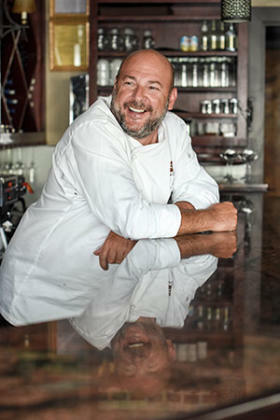 Executive Chef & Partner Lewis Rossman, an award-winning culinary star, has extensive experience at top Bay Area dining spots. Rossman is a Partner in the Shenkman Hospitality Group, which includes Sam’s Chowder House in Half Moon Bay and Palo Alto, Sam’s ChowderMobile trucks, and Italian restaurant Osteria Coppa in San Mateo. 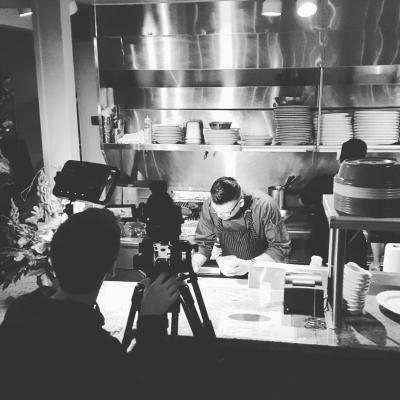 Working with food is an art form for Rossman, and he is intensely passionate about creating exceptional menus. Rossman grew up in rural Buck&apos;s County, a charming area outside of Philadelphia filled with farmlands, wineries, and local artisans, reminiscent of California&apos;s Napa Valley. 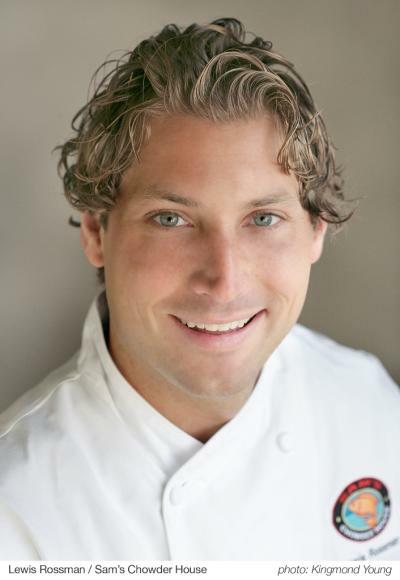 In 2007, Rossman joined Sam’s Chowder House as Executive Chef/Partner. For inspiration, Rossman looks to his childhood memories spent on the eastern seaboard and the great meals he enjoyed at the laid-back fish houses on the Atlantic. He has established long-lasting relationships with a number of specialty farmers around Half Moon Bay, and says "It’s so personally inspiring when farmers bring me an incredibly fresh product that&apos;s unique to their farm." Today his mantra remains sustainable, fresh, local when possible and always seasonal. The ingredients are the foundation of every dish, and produce in the fields of Half Moon Bay in the morning often finds its way onto the salad plate at Sam’s by evening. This passion for fine, fresh ingredients is evident from the house-made dressings, and sauces, to Sam’s house-made desserts. Born in the mountains of Italy’s Piedmont region in the small town of Valduggia, Chef Matteo Ferrari’s passion for cooking began at the age of five. His first mentor, his Nonna Nilla, taught him many things on Sunday afternoons at her country house, most importantly, the art of making potato gnocchi as well as the perfect sauce. Matteo learned to hunt for the best natural ingredients in the local mountains, including one of Italy’s most famous, porcini mushrooms. For more than 30 years Matteo’s passion for cooking combined with his appreciation for the infused flavors of fresh ingredients has delighted customers all over the world, and has defined his authentic, rustic Italian style that he creates today. Matteo and Alisa first started a full service catering company Matteo In Your Kitchen in 2003 that caters to both large and small events up and down the San Francisco Peninsula and is thriving today. 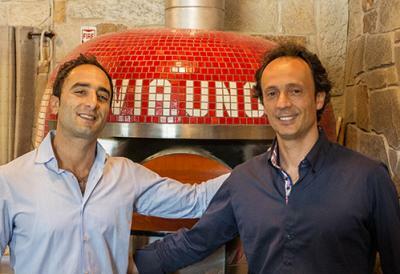 In May, 2005 Matteo and Alisa opened the restaurant Stella Alpina Osteria in Burlingame, California. At Stella, Matteo continues to delight customers with his rustic sauces, braised meats and risottos in a cozy and inviting setting. After over ten years in business, Matteo&apos;s dream of having customers dine as if they are in his own home is a reality and his customers can&apos;t get enough of Matteo&apos;s rustic Italian flavors. 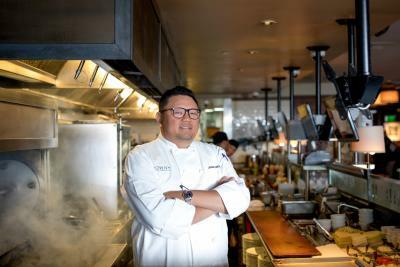 Yu Min then accepted Chef Cimarusti’s invitation as opening Sous Chef at Providence in 2005, and was promoted to Chef de Cuisine after two years. During his tenure at Providence, the restaurant was named "One of America’s Top 50 Restaurants” by Gourmet Magazine, “Best Seafood Restaurant 2006” by LA Magazine, and awarded two stars by the Michelin Guide. 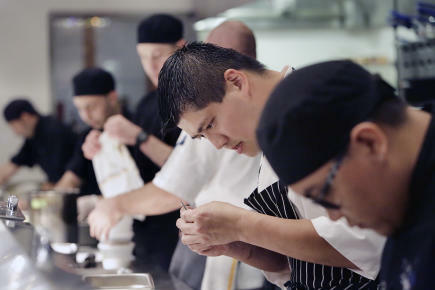 To further develop his culinary skills and techniques, Yu Min performed stages at The French Laundry in Yountville and Manresa in Los Gatos. Betty Ugalde has been cooking and preparing dishes at this restaurant for past 10 years, her brother Jose Luis Ugalde is also a very famous chef at the coast. Jesse Ziff Cool has been dedicated to sustainable agriculture and cuisine for over four decades as writer, restaurateur, spokesperson and consultant for eco-conscious food service. Jesse is the author of seven cookbooks and through the years has written for dozens of publications. She has founded five restaurants and is currently operating the legendary Flea Street Café and two Cool Café locations at Stanford’s Cantor Arts Center and in Menlo Park. At Devil’s Canyon, Brewmaster Chris Garrett sources local ingredients and products whenever possible. Their specialty beer releases include local and responsibly sourced ingredients and many of their barrel-aged products include fresh local fruit. Devil’s Canyon’s handcrafted root beer is brewed with locally sourced honey and they partner with their neighboring vintners by featuring their locally made wine in their event center. Their commitment to sustainability begins with the support of the immediate community. 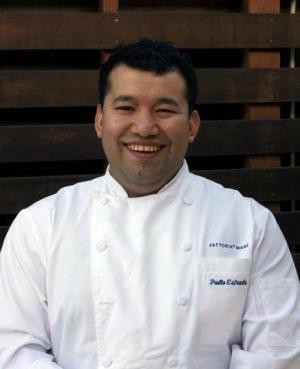 Chef Pablo Estrada moved to San Francisco from Mexico in 1993 after being raised in his family&apos;s bakery and working with his father, first learning how to make cakes and breads. When he arrived in San Francisco, he took up the family tradition as a baker at Cafe Pescatore. His palate and sensibilities have been further refined by traveling to Europe and the Americas. In February, 2014, Pablo left Rose Pistola and opened his own restaurant in Burlingame, CA called Fattoria e Mare, where he resides as Head Chef and Proprietor. 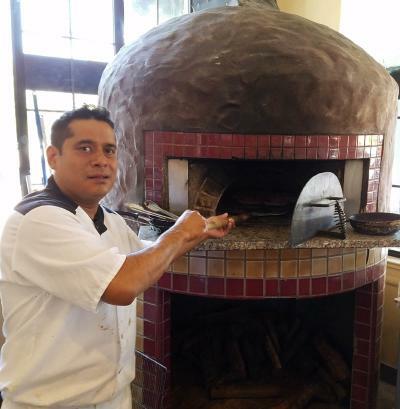 Fattoria e Mare is a labor of love for Pablo, and it is here where he has found the freedom to turn his art into a delicious dining experience for each customer. Robert has worked in the kitchen beside his Sister whom is a Pastry Chef, from Le Cordon Blue du Paris and Mother whom was a Chocolatier/Cuisine chef. Produce is hand selected from local markets throughout the Bay Area. Robert has lived all over the world and the influence is found throughout the creations at Jougert Bar. Middle Eastern, French, and American influence are prominent themes found in his Greek Yogurt cafe. 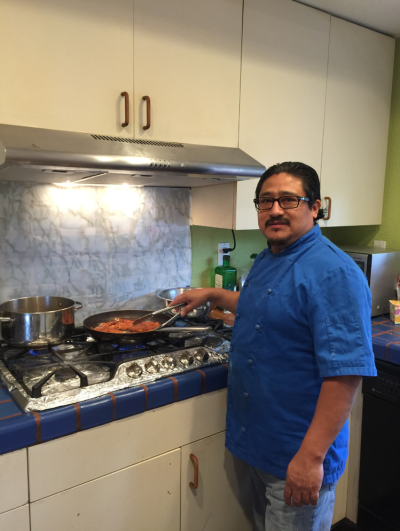 Chef Francisco Jeronimo lives in Half Moon Bay with his wife and three kids. His passion for cooking began when I was eighteen years old. 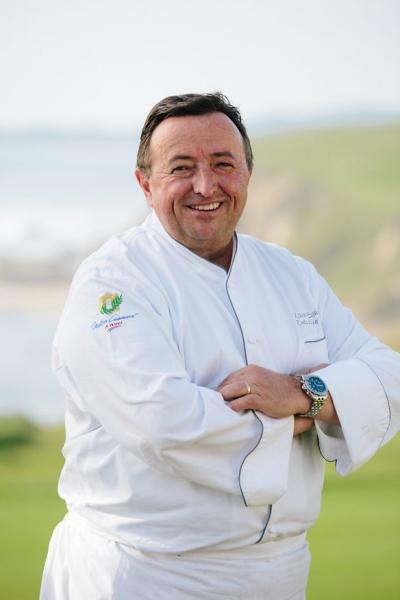 In the past, he has worked for many local restaurants in Half Moon Bay and attended culinary school to learn the basics of cooking and to remain current with developing trends. He currently oversees the kitchen at Miramar Beach Restaurant as the Executive Chef, where, for the past 25 years, his responsibilities have been to plan menus, make purchases and manage the kitchen staff. Robin McKnight has been the Chef at Miramar Farms since 2015. As Chef, Robin has fostered a cuisine philosophy that reflects Miramar Farms’ values of supporting local farmers and food providers, promoting sustainable food choices and serving healthy and delicious meals to their clients. Prior to joining Miramar Farms, Robin spent 30 years as a magazine sales director, serving as the marketing and sales lead for magazines such as Rolling Stone, Glamour, Lucky and Allure. Robin left the business world to pursue her love of cooking and trained at the Tante Marie cooking school in San Francisco. Robin lives in El Granada with her husband Allen and their Wheaten Terrier, Buster. Chef Isidro Contreras uses fresh, local herbs in Moonside Bakery&apos;s salad dressings and soups and to flavor their chicken. They top their freshly baked focaccias with chopped oregano. He also utilizes San Mateo County&apos;s fresh spring and fall vegetables in the specials menu for salads and/or freshly made soups, and roasts and sautés pumpkins for special dishes in October. His creamy herb dressing with fresh thyme and oregano is a delicious favorite at Moonside Bakery! Chef Jeremy Cheng was born in the Philippines, where he lived for part of his childhood. Hia parents come from a Chinese background and food has always been a relevant topic in his family, to the point that he remarks that “Every time [he] visit[s] a family member the first thing they say to [him] is, ‘Have you eaten yet?’” He began cooking at the age of 12, learning from his parents, who are both great cooks. He has worked at various restaurants in the Bay Area including 231 Ellsworth, Kingfish, A Tavola, Town, Milagros and Nola. Currently, he works as the Executive Chef for the Avenir Restaurant Group’s Town in San Carlos, where they aim to serve great food, simply prepared with the best products. 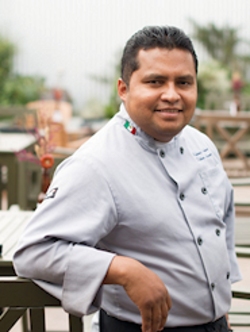 Chef Jose was born in Akil, Yucatan, Mexico. Akil is a small town located on the Yucatan Peninsula where the majority of its population is of Mayan decent. He has been cooking in restaurants for over 15 years and practices a traditional Yucatan style with a French influence. Chef Larry has worked with a number of celebrity Chef’s, Chef Narsai David, Chef Jeremiah Towers, Chef Alice Waters and Chef Bradley Ogden and has traded secrets with the likes of Chef Thomas Keller, Chef Jacques Pepin, and Chef Alan Wong. Chef Larry has taken all of the knowledge learned from these Chef’s to come up with his unique style of California cuisine with Asian and European fusion. Over the past 20 years Chef Larry has also done consulting for a number of high end restaurants and hotels from Maui, Mexico, to San Francisco, it’s quite possible that you have seen his menu’s or had his food without even knowing it. 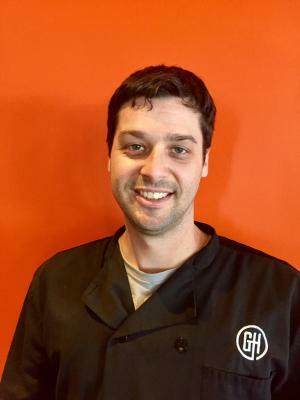 James Hayes is head chef and co-owner of The Grill House. James brings 15 years of professional experience to the restaurant. James began his food hospitality career working as kitchen manager at an Italian restaurant in San Diego. He then worked in partnership with Chef Dane Mechlin, American Personal Chef of the Year Award winner, where he learned fine dining cuisine, techniques and service. Using his tutelage and guidance, James catered events for many high profile clients including members of the San Francisco 49ers and Stanford football teams, as well as the Palo Alto Junior Museum and The Tech Museum of Innovation in San Jose. James earned his Associate of Arts Culinary Arts degree at The Art Institute of California in Sunnyvale. Loring was born in San Francisco and grew up in Burlingame and Millbrae. He purchased The Van&apos;s from the original owner four months after graduating from CSSJ. His background in the culinary realm was managing delicatessens and bartending. Because of his own appreciation of interesting and quality food, he was able to invent items for his menus which would energize his customers. Here he is, 44+ years later keeping on with "A Touch of Down Home... On the Hill!" Come enjoy The Van&apos;s comfortable ambiance and panoramic view enhanced by quality food and service for lunch or dinner and see why customers say The Van&apos;s Restaurant on the Hill offers more than rooms with a view! Mark Sullivan’s harmonious connection to his craft is evident in his role as executive chef of two Michelin-starred restaurants, Spruce in San Francisco and The Village Pub in Woodside; Mayfield Bakery & Cafe in Palo Alto: and Pizza Antica (four locations). With no formal culinary education, Sullivan has always relied on his intuition and innate pleasure for cooking when creating his soulful food with clean, bright flavors. His elegant yet approachable food has made his restaurants both a local favorite and a destination restaurant for out-of-towners. It’s also what landed him on the cover of Food & Wine magazine as one of “America’s Best New Chefs” of 2002 and most recently led to his recognition as chef at Spruce in Esquire magazine’s 2008 “Best New Restaurants” issue.